Often thought of as half of a U bolt, both the long threaded portion and the smooth curve of the J can be used to hold objects in place.The versatility of the J bolt allows it to be used in many settings. 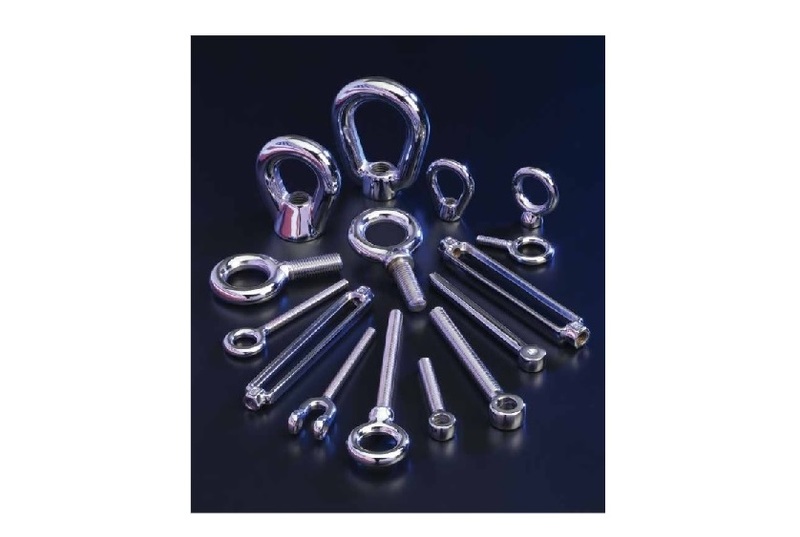 Highway and building construction, automotive and locomotive industries all make use of the J bolt which is also popular in domestic settings for do-it-yourself tasks ranging from hanging baskets to deck construction. Specific industrial tasks which utilize this fastening device include highway sign structures, bridge rails and support columns. Used to secure metal, concrete or wooden objects, bolts are most commonly made of heavy duty metals such as stainless steel, zinc plated steel and titanium. Material selection depends heavily on the demands that will be placed on the bolt in terms of rust and corrosion, strength, pressure and temperatures inherent in its use. Steel is common due to its availability, strength, durability and resistance to corrosive elements. For especially heavy duty tasks such as securing very heavy objects, titanium is used for its superior strength. In addition to zinc plating, other treatments and coatings may be used to customize bolts. Acid resistant coatings, for example, would be used for J bolts found in chemical manufacturing plants. The manufacturing process used to create J bolts is similar to that of other bolt types. A steel or titanium wire rod is first heated consistently for an extended period of time and all rust particles are removed. If needed, the metal is coated for added protection. Cold forging is then used to shape the rod at room temperature and the rod is forced through dyes at high pressures to be shaped into long perfectly round rods. Once cut down to the desired length, a second dye shapes the curve of the J. The angle of the curve can vary significantly. Cold forging using high pressure rollers is then used to press in the thread pattern which is found only on the long straight portion of the bolt. The finished J bolt is then ready for use in a variety of applications. These bolts are most commonly used as cast-in-place anchor bolts. This means that the J bolts are inserted into the desired place in a concrete form as it sets. This ensures secure fastening, but limits flexibility as bolts are inherently difficult to remove once the concrete is set. As aforementioned, both the curve and the threaded portion of the J can be made useful. To utilize the hook the threaded portion is set in concrete or screwed into metal, wood or any other material. Alternatively the hook may be fixed or slid into place, leaving the threaded portion exposed for fastening. It is important to consider the materials to be fastened as well as the strength and corrosion resistance required of the bolt materials. Other considerations include the bolt curve, length and diameter. J Bolts A J bolt is a mechanical fastener shaped like the English letter from which its name is derived and is used in a variety of applications to anchor an object or surface to another surface.